Treat yourself to a Spa environment in your own home, you deserve it! 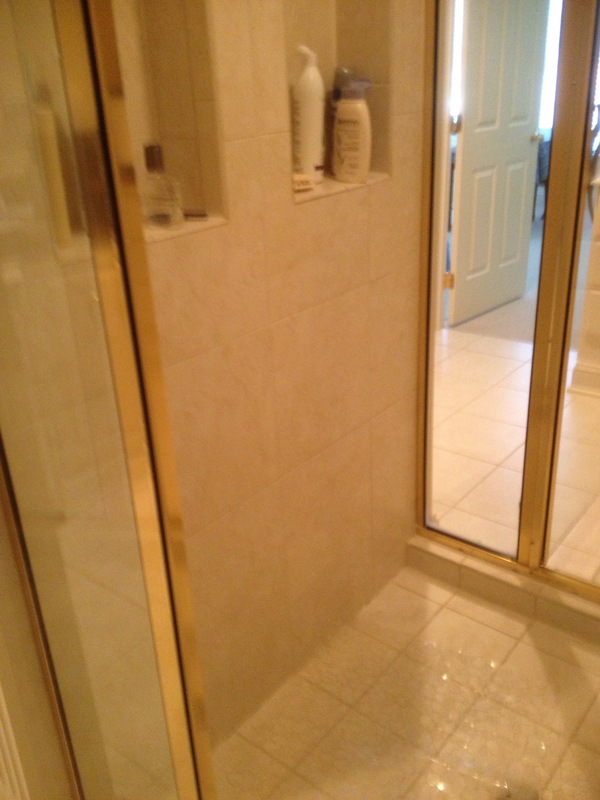 Our client wanted to update her bathroom with the majority of the focus on updating her shower. 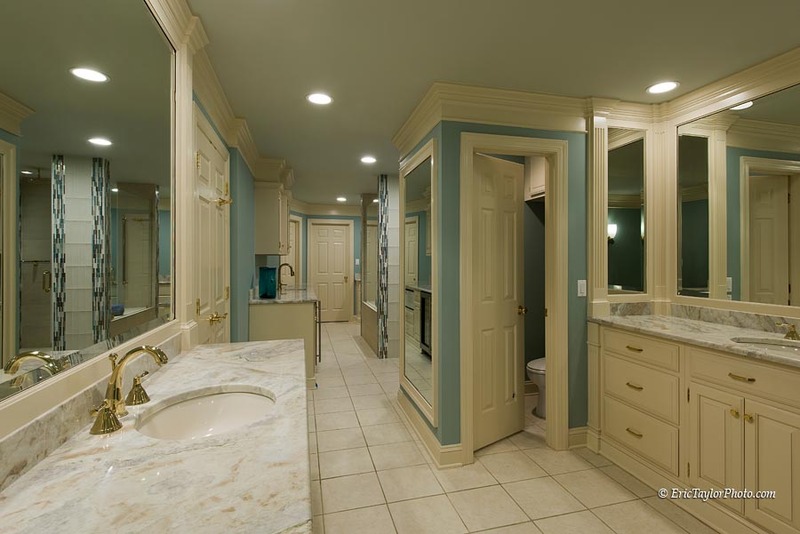 She wanted her new bathroom to have light, color, be contemporary and pretty with better function and a bit larger than before. 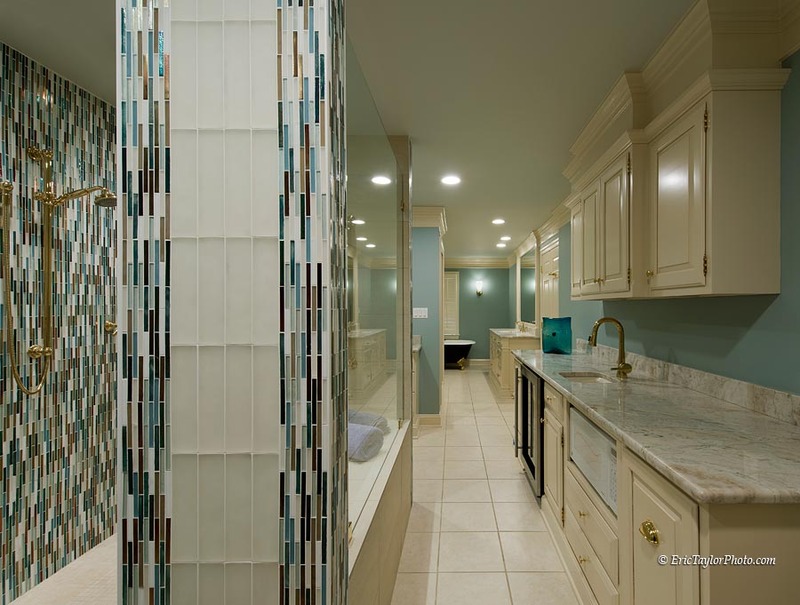 A custom glass tile blending the favored colors got the project moving in the right direction. 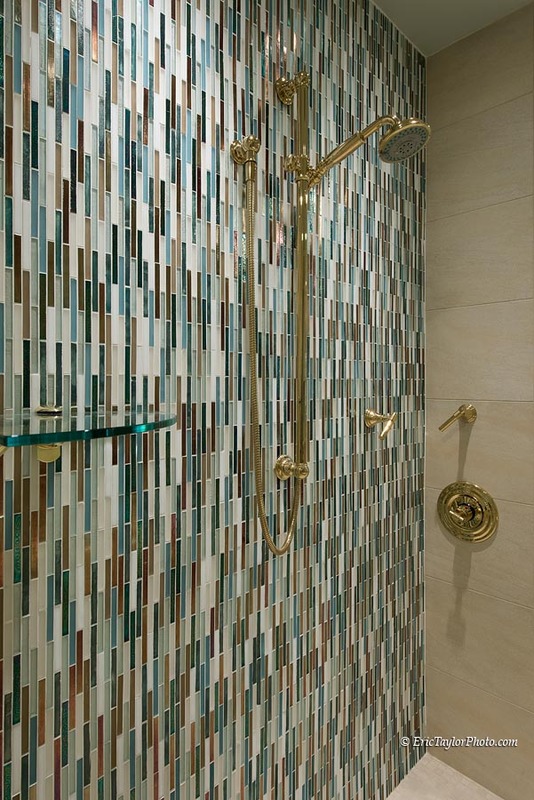 Carefully removing the existing shower and without disturbing the surrounding floor tile was the work of genius tile artisans, who then crafted into place the glass tile in all its display of color, clarity, and beauty. 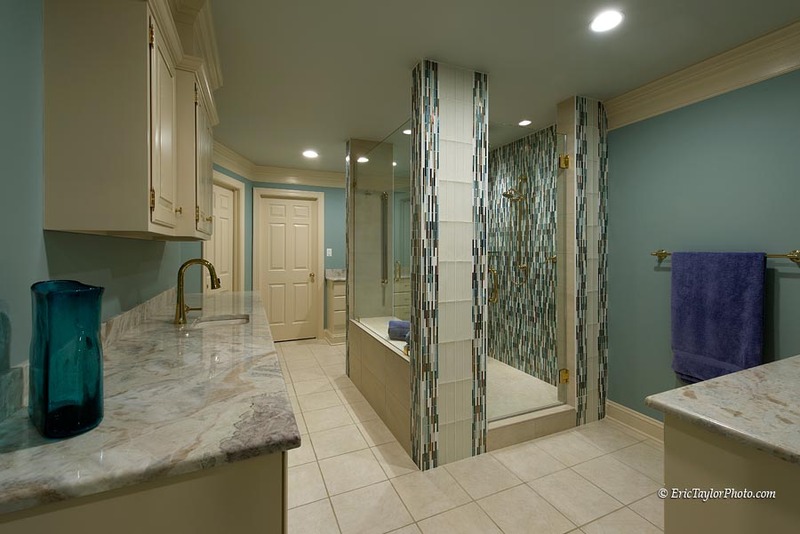 New plumbing fixtures in the shower, and new countertops that delicately capture the colors of the glass tile unites the bath, for a seamless melding of old with new. 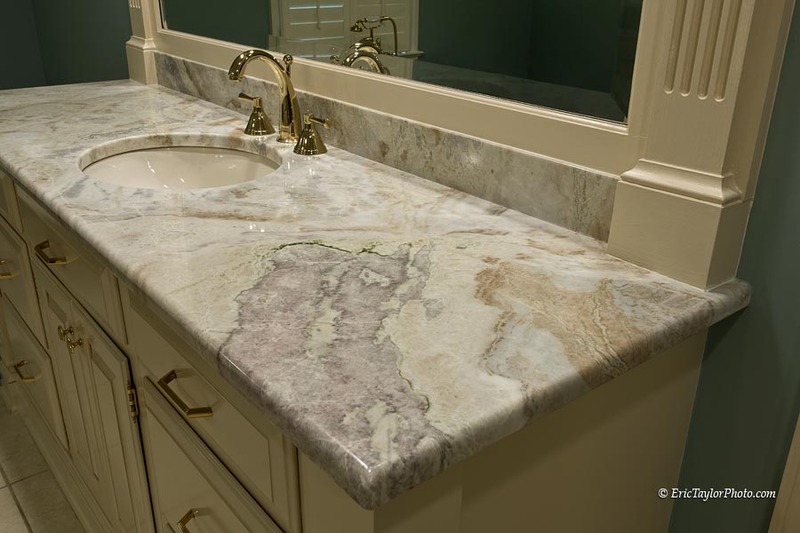 Isn’t this granite beautiful? Custom choice by the client, it helped to define the entire room. 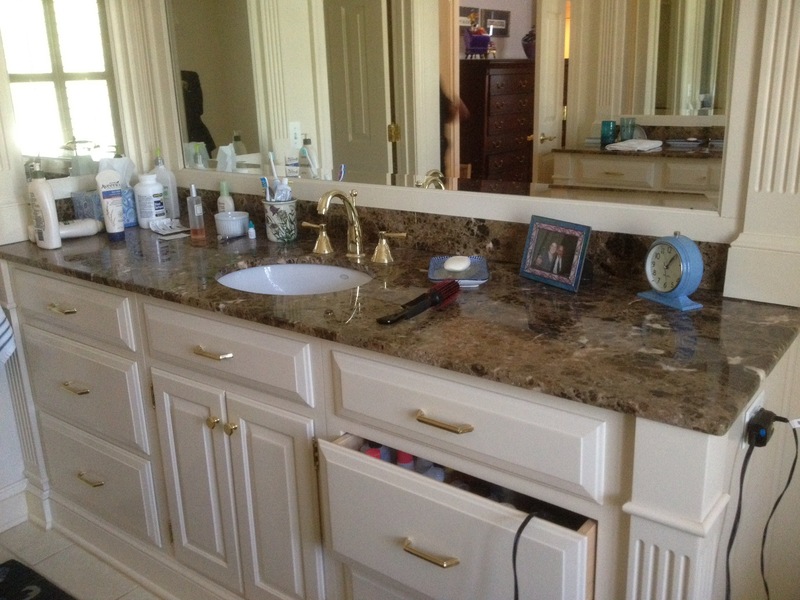 If you like this, check out our other bathroom projects here.